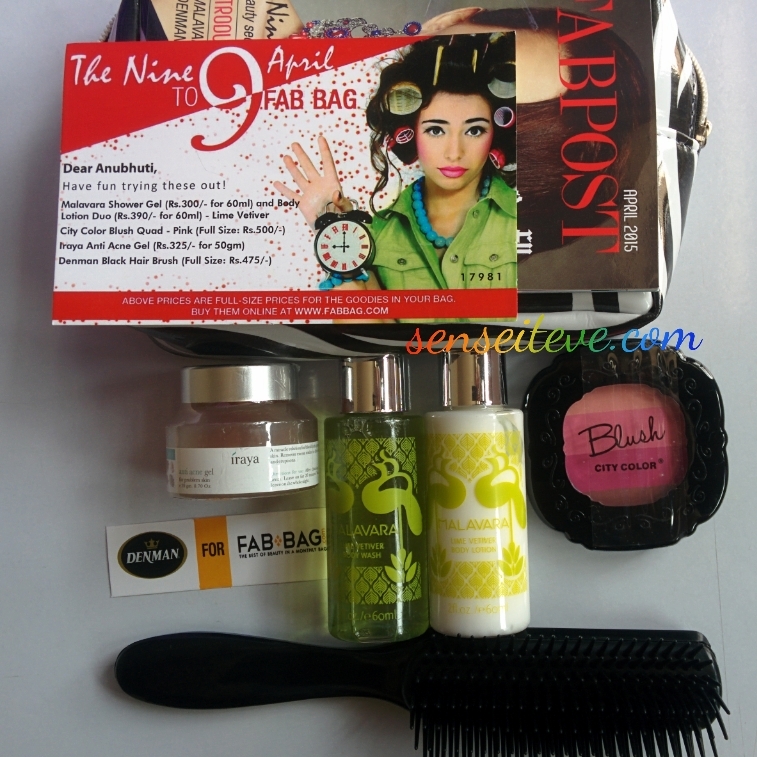 Today I’m going to show you all what i got in my fabbag for april month. 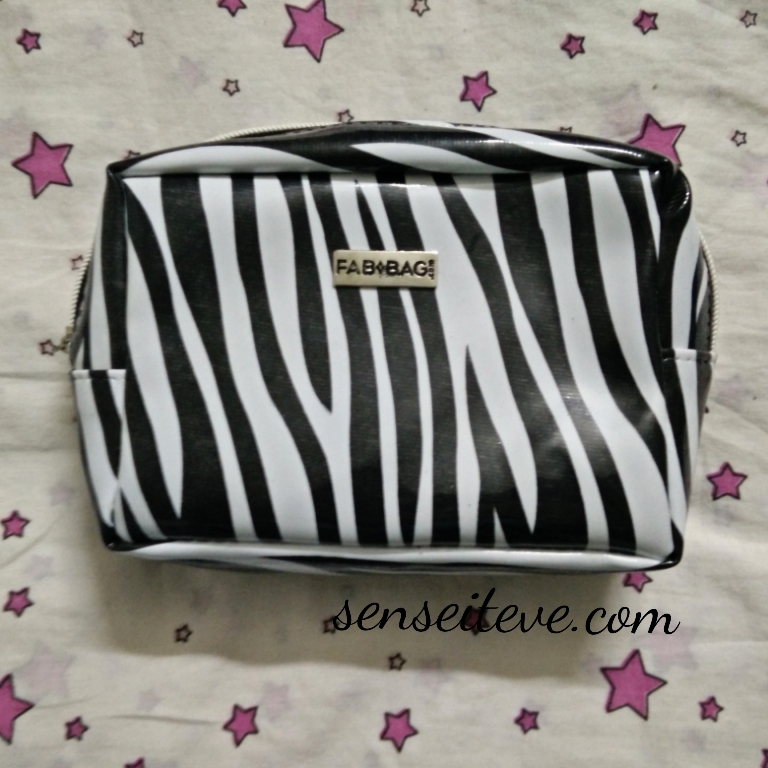 Fabbag is a monthly subscription beauty bag, every month they give a new stylish makeup bag with a different theme and all the products inside the bag are related to that theme. We get full sized products as well as samples. More you can read on their website here. They have monthly/quarterly/half-yearly/annual subscription schemes available. 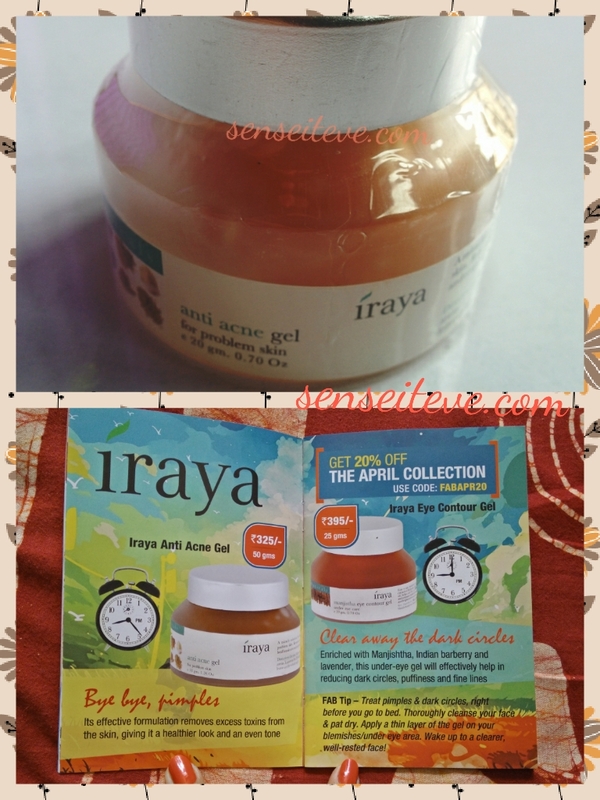 There is a mini magazine FabPost in bag which includes description of the various products for that particular months bag overall and few discounts running for that month as well. Here is a little something about individual products and my first impression about them. 50ml sample each. I am yet to try these but these smell good. I will share my review on this duo soon. But full sized product cost is very high and i don’t think i would buy full size at this price. (refer picture). I have never heard of this brand before. This month fabbag introduced this brand. I have used this normally not with the blow-dryer as they mentioned and found it like an ordinary brush. It does induce a little volume but any hairbrush does that. 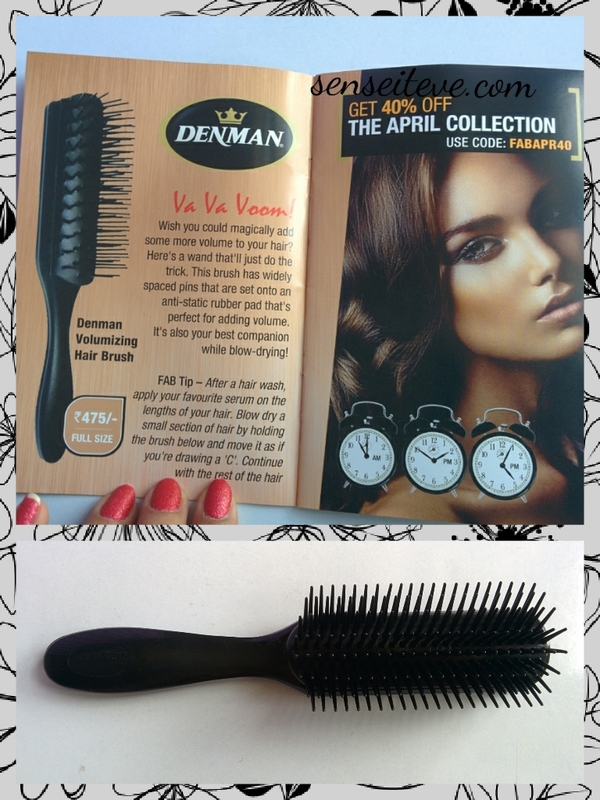 there was discount on this but otherwise this costs 475/- INR which is too much for an ordinary brush 🙂 Doesn’t do anything on hairfall while combing reduction part. Overall I feel this month’s bag is pretty average. I was happy to get full sized blush, other than that everything else is just okayish. Till next time..stay tuned…take care…xoxo.. 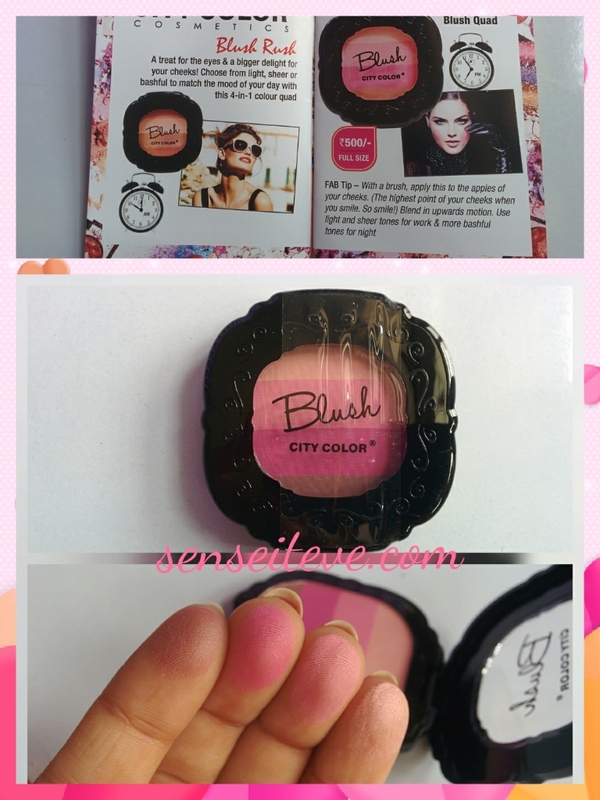 Yes i agree, the blush is the only product to get excited about!! Why did they send a comb! Instead they could have send u any cosmetic. It is sad that apart from blush other things are just average. Subscription boxes can be disappointed some time. The blush looks really beautiful!! Some really good products on show. Richa Saxena recently posted…Oriflame’s Giordano Gold Lipstick Cerise Pink….Gorgeous in Gold!